Rugger's has the charm and wood paneling of a British pub with the dirty-smokey underbelly of a true Pittsburgh dive bar. I originally started going to Rugger's about three years ago to watch the Pittsburgh Steelers as the bar usually isn't that crowded, drinks are cheap, the staff is great and the food is pretty delicious. The food at Rugger's is standard American bar fare: burgers, fried foods and sandwiches. Over the years I've tried nearly everything on the menu but the melting pot chicken wings are my absolute favorite. The melting pot sauce is a combination of all wing sauces offered by Rugger's. I have to admit that it does seem to be a little different every time, but I love it so much. The wings are always crispy and the sauce is the perfect balance of savory and spicey. I would almost compare it to pazzos sauce at the Dark Horse in State College. (My favorite wing sauce.) But the melting pot sauce doesn't have as much garlic. I prefer Rugger's wings to those of Fat Heads, Mario's and the Double Wide, which are generally considered some of the best in the Southside. Also, the bar gets mad bonus points for featuring the beautiful and sassy Larko twins. 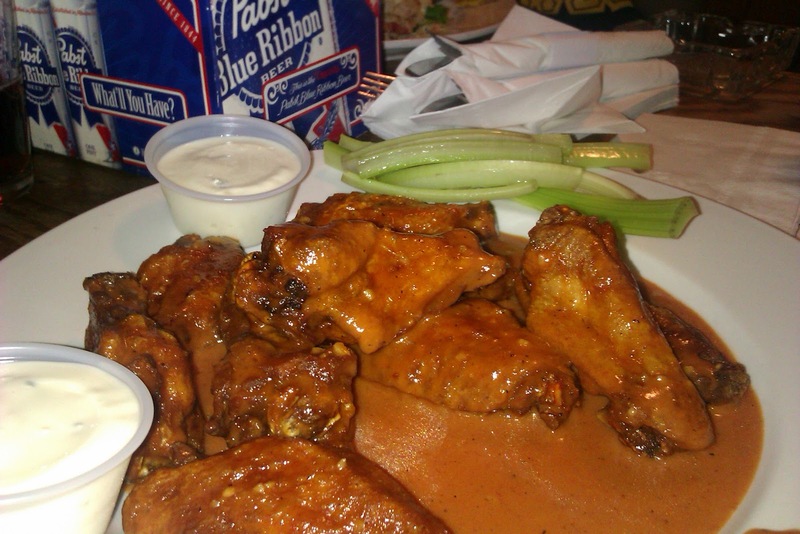 What are your favorite wings in Pittsburgh? I think Wings, Suds and Spuds in Moon gets too much attention.